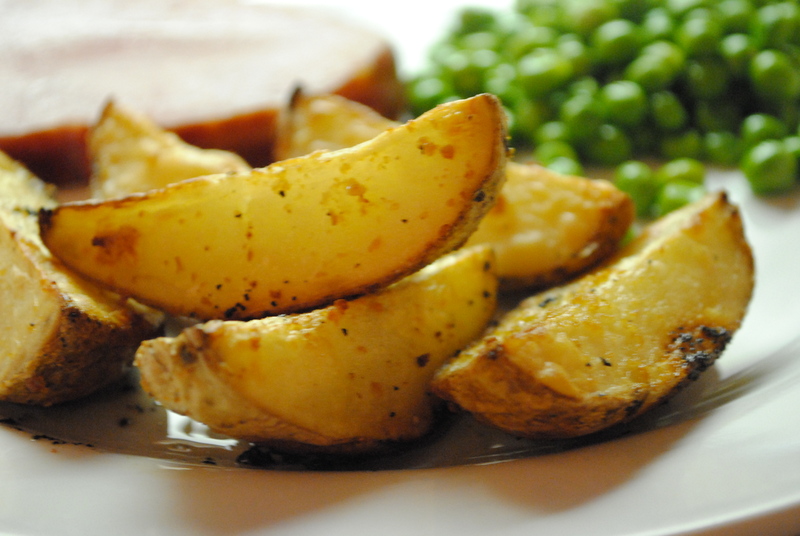 Preheat oven to 425 degrees F. Quarter potatoes, and place on a microwaveable plate. Set to high heat, and cook for 5 minutes. In a large mixing bowl, place partially cooked potatoes with the oil and seasonings and toss well to coat. Place on a cooking sheet and put in preheated oven for 30 minutes, turning once if needed. Serve hot! hi, is that just put the potatoes into the micowave oven and heat 5 minutes at the beginning? Also, can i just use either garlic powder or fresh garlic? I made these the other night to have with falafels and pita. The perfect Mediterranean supper! Yum! Hey – is there a longer obviously but non-microwave way of doing this? We have recently decided not to use radiation to cook our food (very challenging for leftovers lol) and turfed the microwave. I would love to try this recipe!